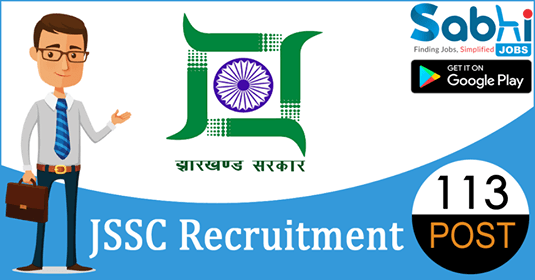 JSSC recruitment 2018-19 notification has been released on official website www.jssc.nic.in for the recruitment of 113 vacancies at Jharkhand Staff Selection Commission. The candidate who is looking for Male Nurse (ANM), Mishark/Compounder & Various Vacancies can apply online application from 1st August 2018 and before 30th August 2018. Qualification Male Nurse: 10th pass with 18 months ANM Diploma, and must have registered with Jharkhand Nursing Council. Mishark/Compounder: 12th pass with Diploma of Mishrak/Compounder or Pharmacist and must registered with the Pharmacy Council of any state. How to Apply Interested and eligible candidates may apply online application form at official website www.jssc.nic.in from 1st August 2018 to 31st August 2018.